Phi Drive has approached the pneumatics sector by declining on pneumatic applications the operating principle of a piezoelectric motor. 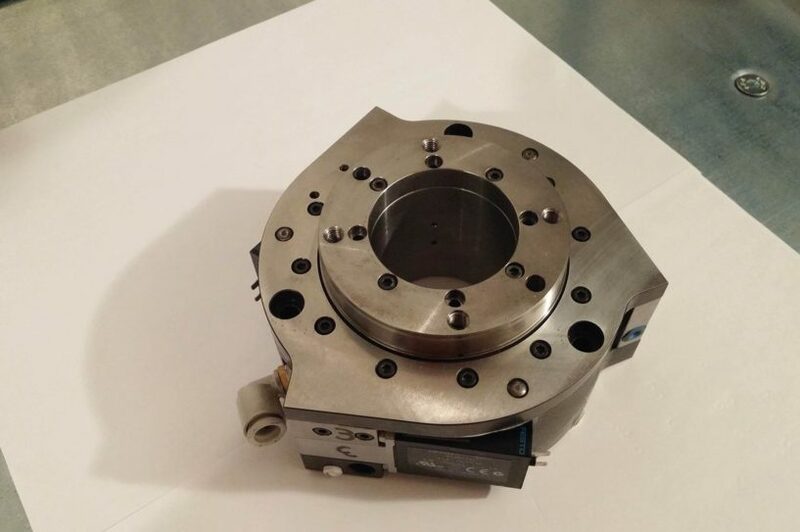 The result of this approach was the development of an innovative high precision pneumatic positioner able to reach the needs of the current market. A result that allowed to AG-PNE, this is the name of the derived pneumatic motor, to appear within the magazine Oleodinamica-Pneumatica, a periodical publication of “Gruppo Tecniche Nuove”. Innovation. This is what Phi Drive aims to have within its products. And so the pneumatics sector has also become fertile ground for the development of new prototypes. Most of valves on the market are anything but linear. This has strong repercussions on the control of the valve itself, as pressure losses are also non-linear. The skills of Phi Drive are leading to the realization of a linear behavior valve that promises high performance combined with an impeccable close loop control. In the face of numerous requests from its customers, Phi Drive is currently working on the development of innovative pneumatic valves with solenoidal and piezoelectric command. Questions, curiosity or development proposals?